The notion of a paperless office has been in discussion for years, but when is this digital transformation expected to take hold? This week we highlight an article from AIIM on the topic. 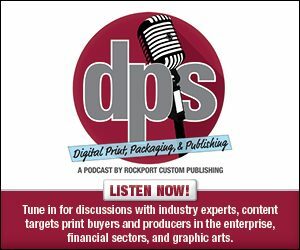 For more Web-exclusive content, the latest news, and more, visit dpsmagazine.com. Follow us on Twitter and visit our website for the latest industry news. Also, check out our March digital edition. Back in the 70s, industry commentators were talking about the paperless office and forecasted a future where all documents would be stored digitally—some 40 years later, and we still haven’t got there—but it isn’t for want of trying. Digital label print to finish. Behind the name, we’re ahead of the curve. New people, new technology. Reimagined Graph Expo. Muller Martini is the world’s largest producer of print finishing solutions for commercial and book printers, trade binderies and newspapers as well as short-run and digital book manufacturers. ….